Or sign up to get the exclusive sneak peek now. Trip to the Rule #1 Workshop! all-inclusive trip to the Rule #1 workshop (flight and hotel included). An e-booklet with "5 Steps to Start Your Investing Journey to Reach Financial Freedom"
This is a book I could not have been more excited to write. 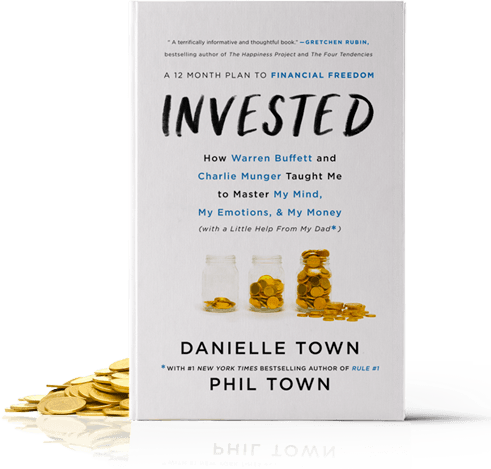 Not only was I able to co-author this with my daughter, Danielle, but I was able to do it as a result of her finally wanting to learn how to invest from me - her dad! 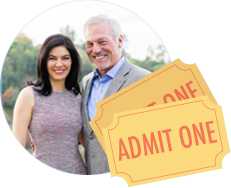 If you’re a dad then you already know that your adult kids don’t really want to learn from you, be like you, or hear about what you do for a living -- this was a big win! Danielle helps transform what I do for a living into a book that addresses the fear holding most people back and she shows you exactly how to slowly push through the mental hurdles and turn investing into a practice you can enjoy and want to continue with into a future of financial freedom. If you’ve never considered investing as something you were capable of, this is the book for you. Each chapter is based around a one-month period where a new practice is introduced for you to try out. By the end of the last chapter you’re ready to dive in - no more fear!